What is Advanced Threat Analytics? Advanced Threat Analytics (ATA) is an on-premises platform that helps protect your enterprise from multiple types of advanced targeted cyber attacks and insider threats. For more information on ATA architecture, see ATA Architecture. Reconnaissance, during which attackers gather information on how the environment is built, what the different assets are, and which entities exist. Typically, this is where attackers build plans for their next phases of attack. Lateral movement cycle, during which an attacker invests time and effort in spreading their attack surface inside your network. Domain dominance (persistence), during which an attacker captures the information that allows them to resume their campaign using various sets of entry points, credentials, and techniques. These phases of a cyber attack are similar and predictable, no matter what type of company is under attack or what type of information is being targeted. ATA searches for three main types of attacks: Malicious attacks, abnormal behavior, and security issues and risks. For a complete list of the detections and their descriptions, see What Suspicious Activities Can ATA detect?. ATA detects these suspicious activities and surfaces the information in the ATA Console including a clear view of Who, What, When and How. 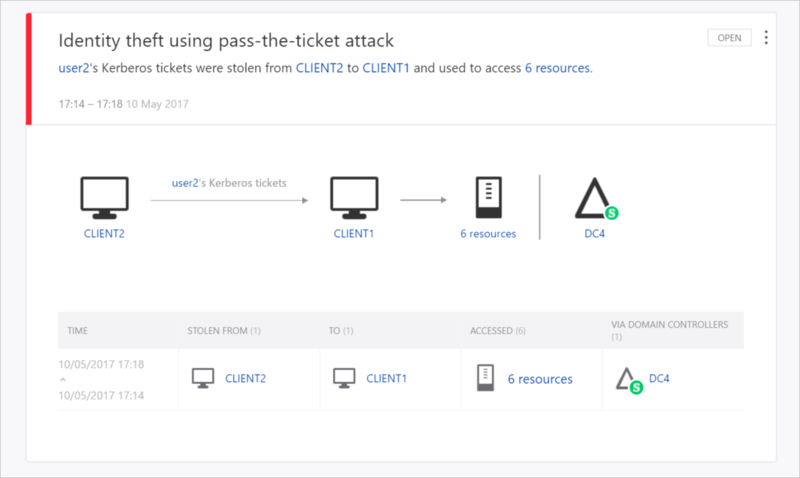 As you can see, by monitoring this simple, user-friendly dashboard, you are alerted that ATA suspects a Pass-the-Ticket attack was attempted on Client 1 and Client 2 computers in your network. You can view suspicious activities of this type in the ATA Dashboard. 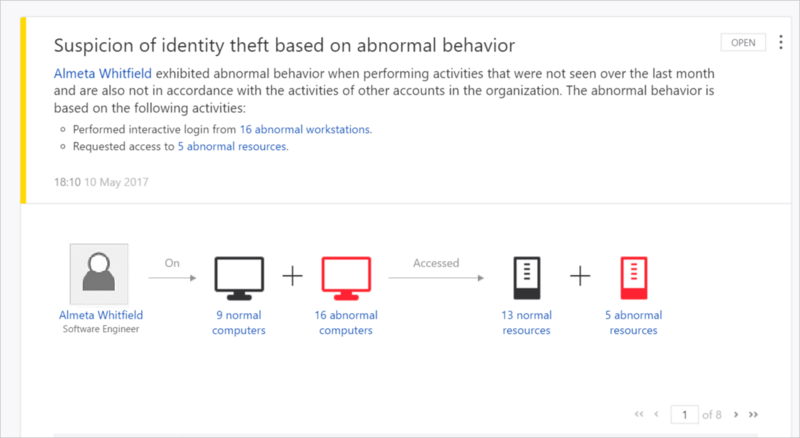 In the following example, ATA alerts you when a user accesses four computers that are not ordinarily accessed by this user, which could be a cause for alarm. You can view suspicious activities of this type in the ATA Dashboard. In the following example, ATA is letting you know that there is a broken trust relationship between a computer in your network and the domain. If you update to ATA 1.7 and immediately to ATA 1.8, without first updating the ATA Gateways, you cannot migrate to ATA 1.8. It is necessary to first update all of the Gateways to version 1.7.1 or 1.7.2 before updating the ATA Center to version 1.8. If you select the option to perform a full migration, it may take a very long time, depending on the database size. When you are selecting your migration options, the estimated time is displayed - make note of this before you decide which option to select. ATA suspicious activity playbook Check out the ATA forum!